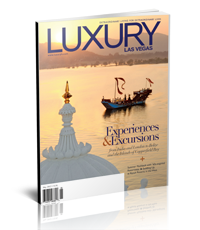 Just saw the latest issue of Luxury Las Vegas, a hot new upscale magazine. On page 49 you’ll see the first pages of a multiple spread story that features Ranchweb’s own Gene Kilgore, discussing the benefits of a ranch vacation. And there’s more good news for the dude ranch vacation business: five Ranchweb member resorts got big play in the story: Resort at Paws Up, Vista Verde, Clayoquot Wilderness Resort, Rancho de los Caballeros, and the Ranch at Rock Creek. Our thanks to author Kara Williams and Luxury Las Vegas Magazine!